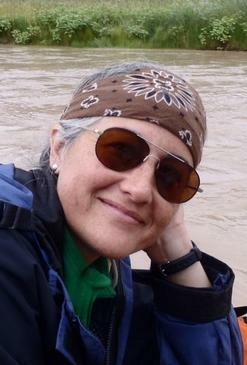 Julie Jacobson is an Alaska Native and a graduate of Fort Lewis College in Durango, Colorado. She writes fiction and non-fiction. Julie's work has been published in Cutthroat, The Fence Post and in various newspapers. She attended the MFA Writing Program at the Vermont College of Fine Arts. When not at the writing table or reading, she ranches with her husband and teenage son on the high plains of Colorado. Matt Mendez grew up in central El Paso. He received an MFA from the University of Arizona and is the author of the short story collection Twitching Heart. He lives with his wife and two daughters in Tucson, Arizona. Barely Missing Everything is his debut young-adult novel. You can visit him at mattmendez.com.